Now that the whirlwind of Christmas and travel to and from New York has concluded, I can take a step back and reflect on the flurry of activity from Christmas Eve to New Year’s Day. 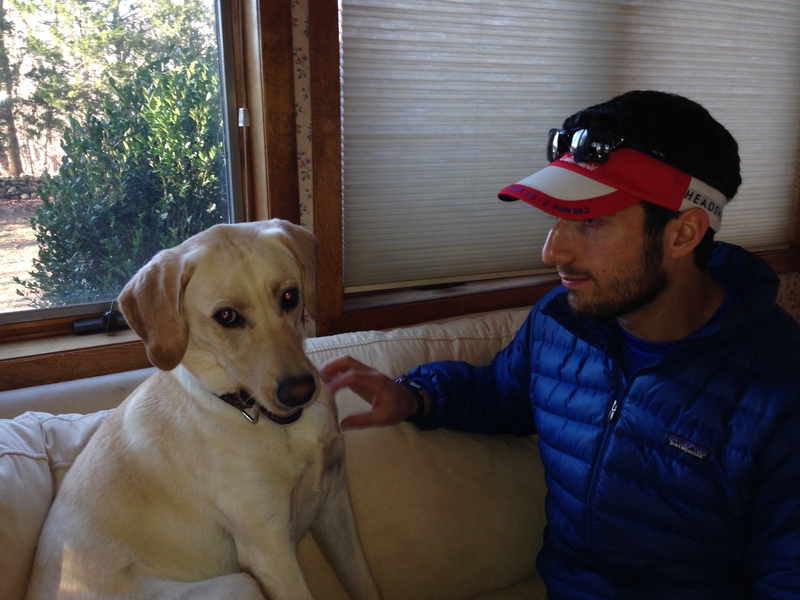 Jesse and I spent Christmas Eve and half of Christmas Day at my parents’ home in Los Gatos. 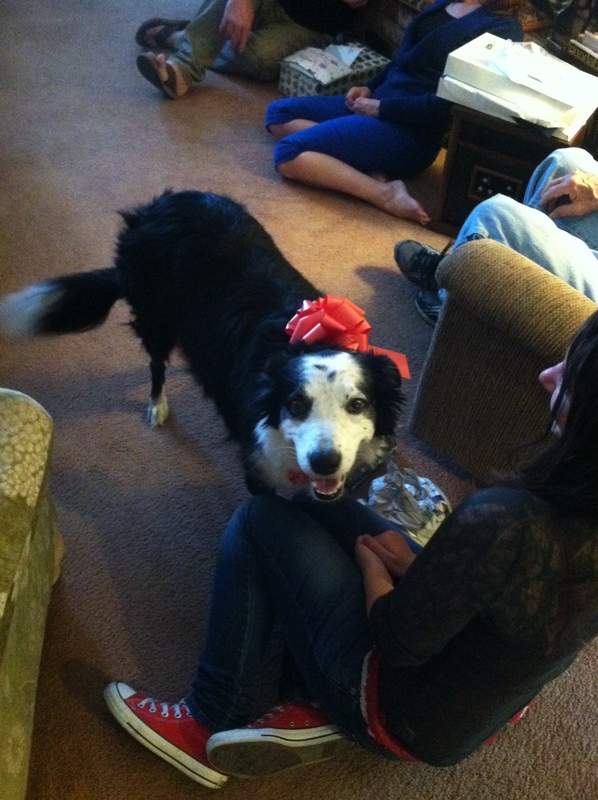 On Christmas Eve, we ate dinner and exchanged gifts at my Pop-Pop’s house. 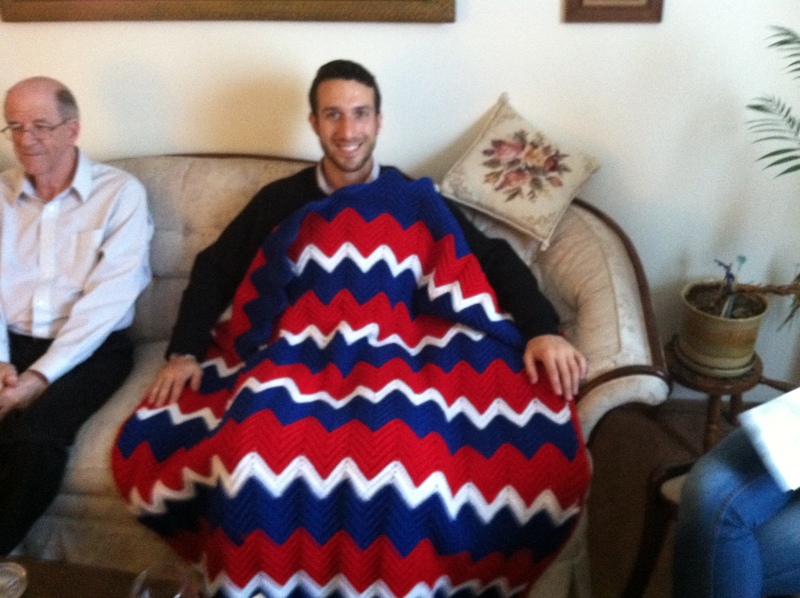 My mom knitted Jesse and I blankets; she added another patriotic piece for Jesse’s growing collection. 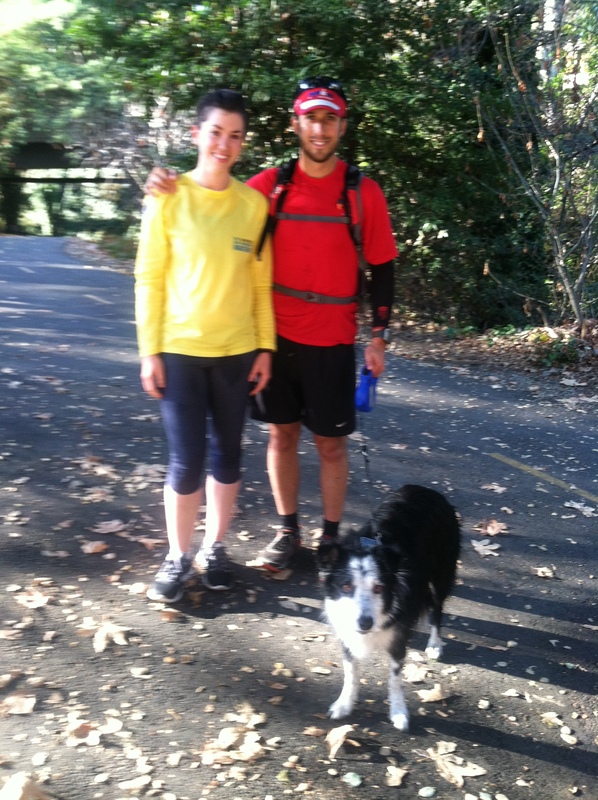 On Christmas Day, we went for a five-mile run on the Los Gatos Creek Trail. (Sometime in the early morning, a skunk sprayed under the house. Our sleep deprivation started on Christmas Eve night). I never realize how amazing my hometown trail is until I revisit it. The lush trees that line the well-maintained trail provide ample shade on the paved path. After breakfast, my dad drove Jesse and I to SFO, where we took off around 2pm. Our flight was pretty painless, with most of our time devoted to reading and playing a trivia game on United’s entertainment system. 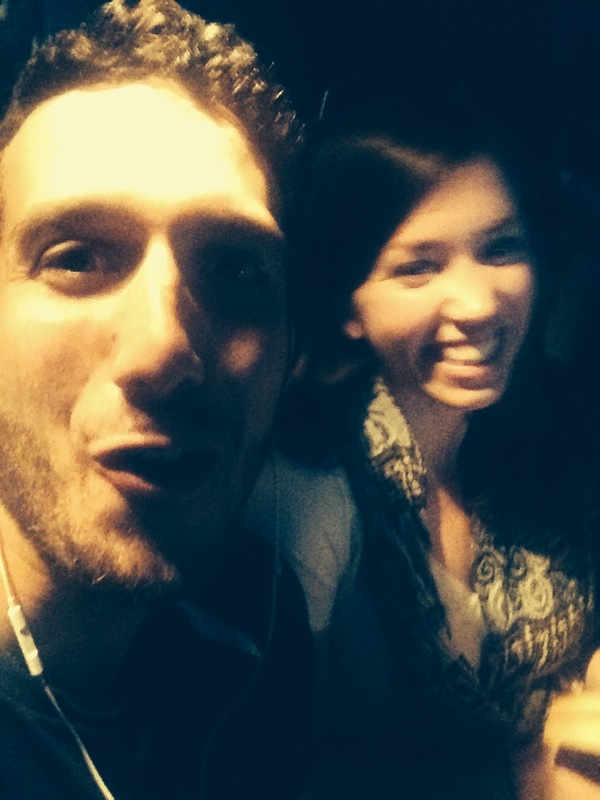 Upon landing at JFK, Jesse’s mom and boyfriend picked us up for the half-hour drive to Nyack in Rockland County. We stayed up late opening far too many presents and eating Jesse’s mom’s delicious cookies. 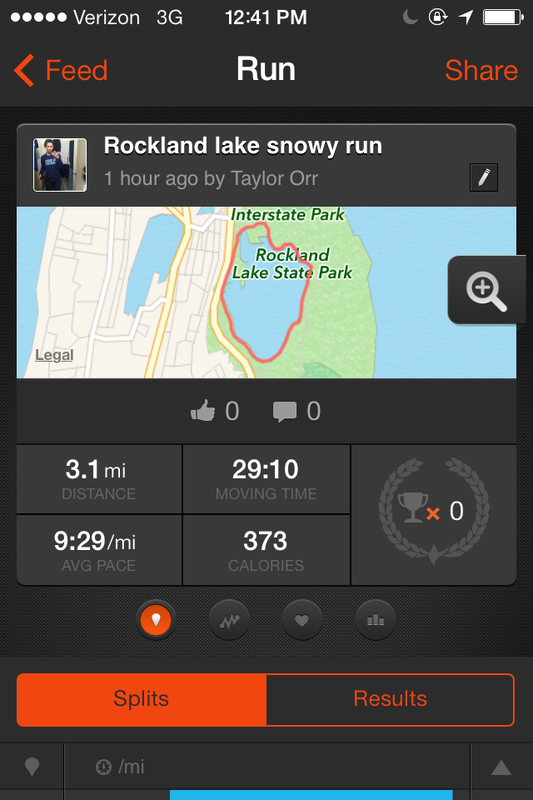 The next morning, we set out for a 5K around Rockland Lake, where I experienced a first – snow started falling midrun! I am a huge wimp with cold weather, having lived in coastal California for my entire life, so this was quite a shock. However, I made it out alive to tell the tale. 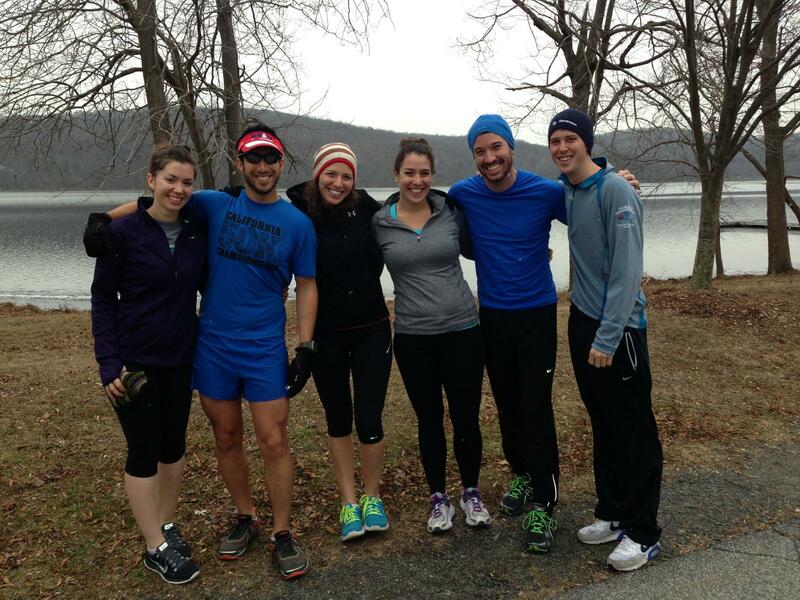 Rockland Lake was a beautiful place to run! We spent the rest of the day relaxing, and Jesse and I went out in downtown Nyack to meet a couple of his high school friends. The town was very quaint and historical – apparently the creek running through it was used as part of the underground railroad. Friday was spent eating a fancy lunch at a local famous spot and getting manicures, not to mention taming Jesse’s mom’s yellow lab puppy. On Saturday, we left Nyack for New York City and had a blast! Details to come tomorrow. Looks like fun! 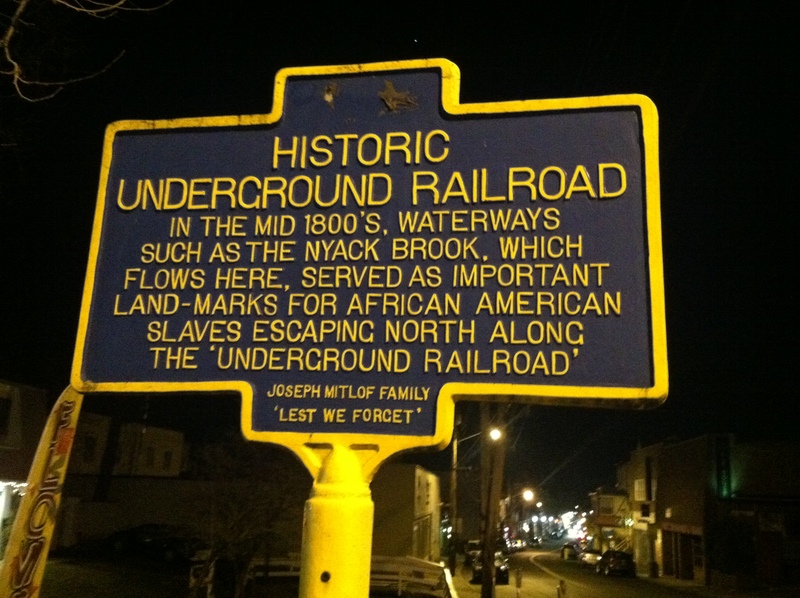 We had some underground railroad spots where I grew up in Ohio too! Awesome! So cool to see such fascinating history – California lacks a lot of it.